Grocery stores are facing pressures to accommodate new ways consumers want to shop, to prevail over new competition, and to stay profitable. Interstate Cash Register understands these challenges and offers the technology to help you address them and position your grocery stores for growth. With grocery POS technology, your business has the processing capability to provide fast, efficient checkout experiences. Features like integrated barcode scanners and user-friendly, touchscreen interfaces support speed and accuracy, and support for coupon and loyalty programs and customer-facing displays help keep customers engaged. Inventory management modules make it easier to keep tabs on inventory levels and maintain the proper merchandise mix. Grocers can also add tablet-based POS for efficient, accurate inventory-counting and line-busting, particularly in specialty departments, such as bakery and prepared foods. Interstate Cash Register can help you expand the functionality of your POS system with additional packages including scales, cameras, digital signage, online ordering, loyalty, and gift card solutions. We have years of experience working with grocery stores of all sizes, and we can help you find the right grocery point of sale system for your business that gives you the features and functions you need at the right price. Scroll down to see a number of the Grocery Point of Sale Solutions we carry and click for downloadable data sheets with complete product information. 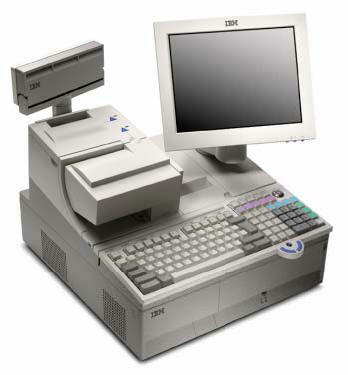 IBM SurePOS Application Client/Server Environment (ACE) for 4690 OS provides the capabilities supermarket retailers need to improve throughput at checkout, increase profitability and maximize reliability. This powerful, comprehensive application combines checkout support, electronic marketing, data maintenance, account management and other accounting processes. It is fast and versatile, performing subsecond price look-ups and handling multiple tenders. 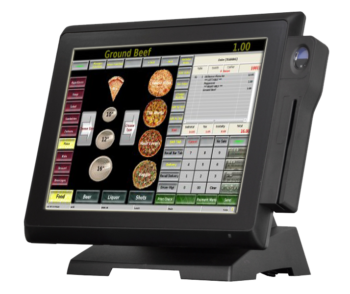 Plus, it supports dual video displays, so you can run an easy-to-use, touch screen GUI for operators and a separate graphical display to keep customers engaged, promote special items or enable in-line advertising. 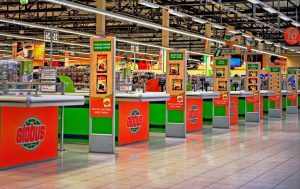 Reflection POS® Embedded is proven POS software with more than 20,000 systems installed in 35 countries around the world and is an excellent choice for smaller grocery stores. Reflection is equipped with the most sophisticated network on the market. System information is replicated on every terminal across the high-speed TCP/IP network. Built on solid-state technology and an embedded operating system, Reflection POS® is not susceptible to viruses or spyware so you can rest assured that Reflection POS® will be ready to perform when you need it. Commanding Point of Sale technology is working for you. Catapult harnesses the latest point of sale technology to help ensure that you have the control of your day to day operations that you demand. 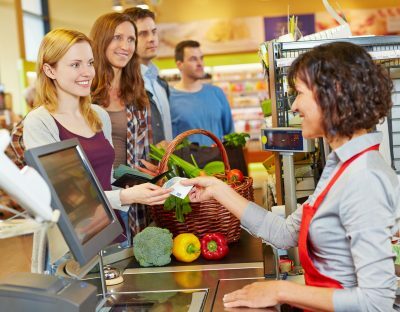 Your customers will appreciate the benefits this technology brings to them — faster and more accurate checkouts — resulting in greater customer satisfaction. You’ll be amazed at the richness of Catapult’s POS feature set, which comes from years of experience meeting the needs of retailers just like you. Independent Grocery Manager, IGManager is a complete management suite for independent grocers. It provides all the functionality of back-end management programs in use by larger grocers, but it’s offered at a price point that makes it an exceptional value. Learn more.